Morlancourt is a village approximately 6.5 kilometres south of Albert. 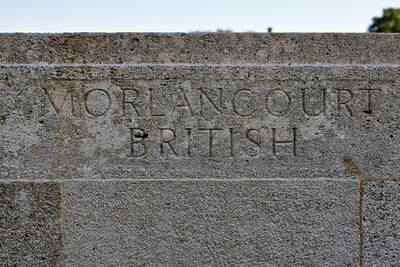 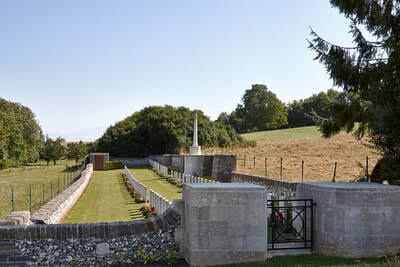 Morlancourt British Cemetery No.1 (called for some years Morlancourt Military Cemetery) is on the west side of the village, near the road to Ville-sur-Ancre. 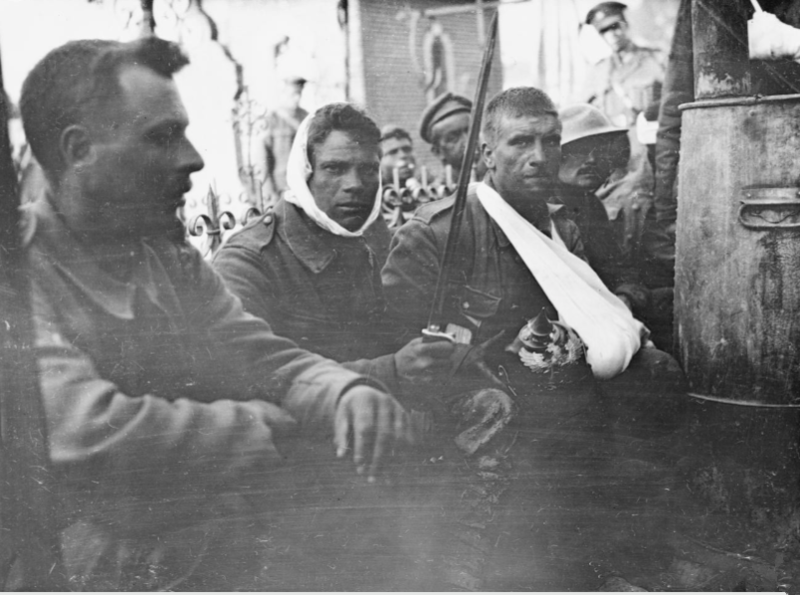 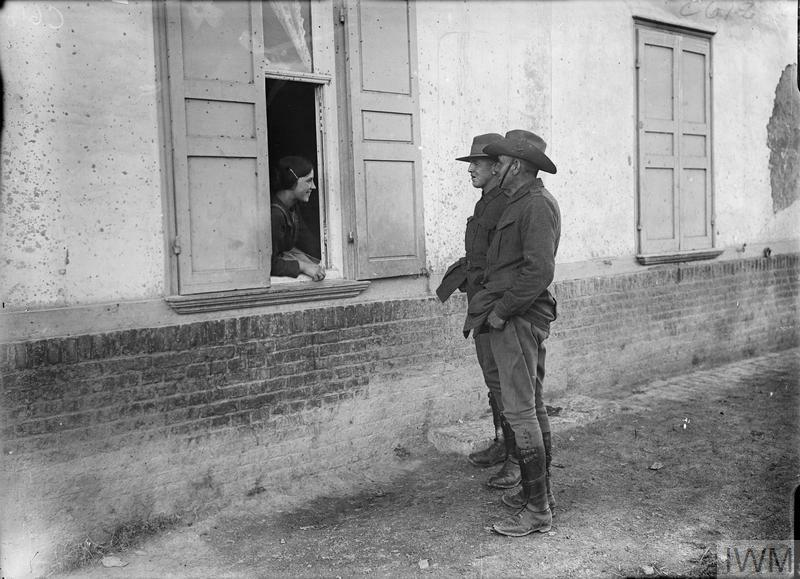 The village of Morlancourt was a quiet place used by field ambulances in 1916, but at the end of March 1918, it was captured by the Germans. 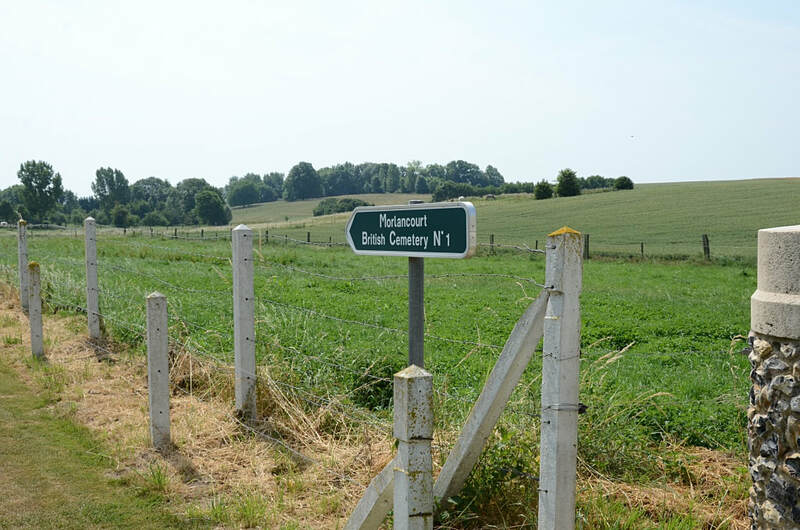 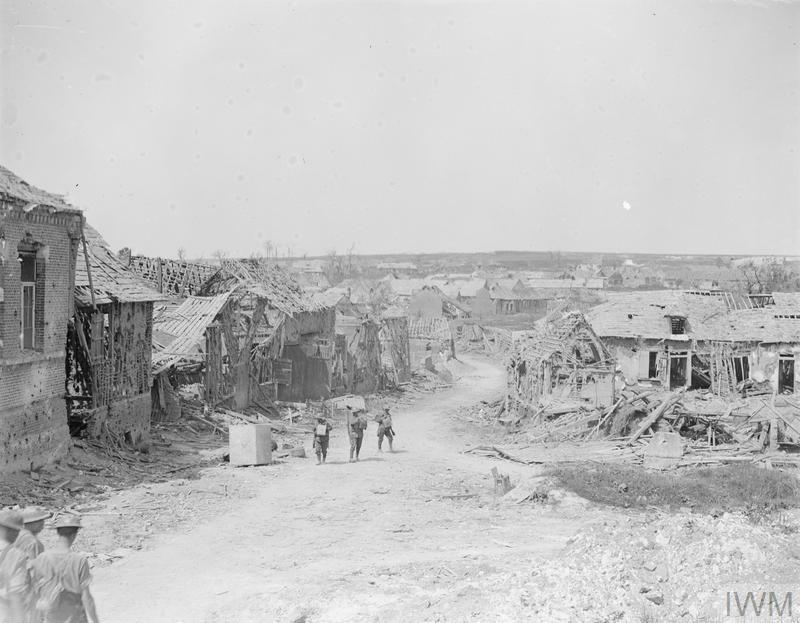 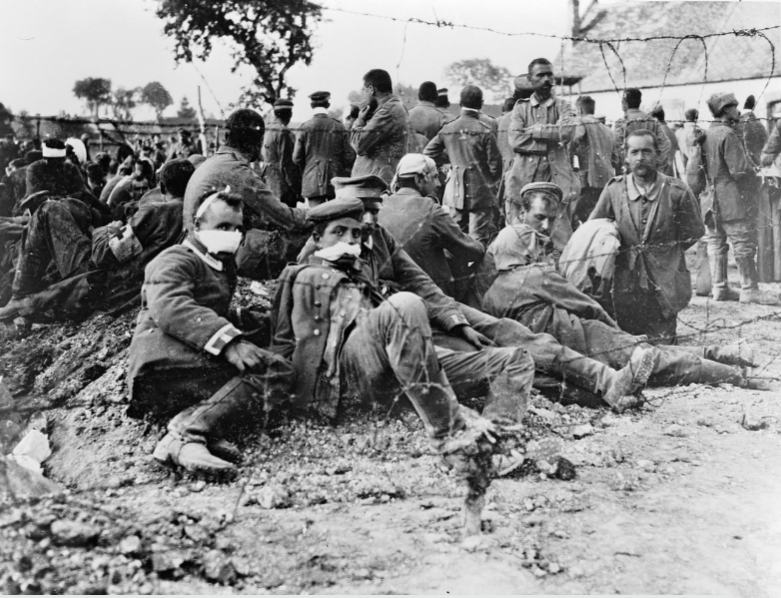 Local operations in May and June brought the Allied line nearer to it, but the village remained in German hands until 9 August, when it was taken by the 1/1st Cambridgeshire Regiment and tanks. 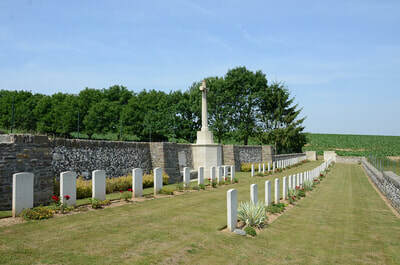 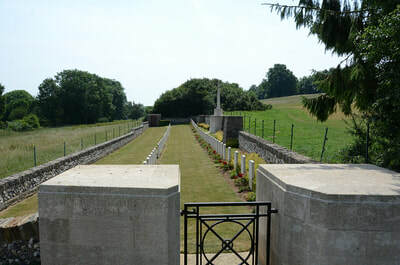 Morlancourt British Cemetery No. 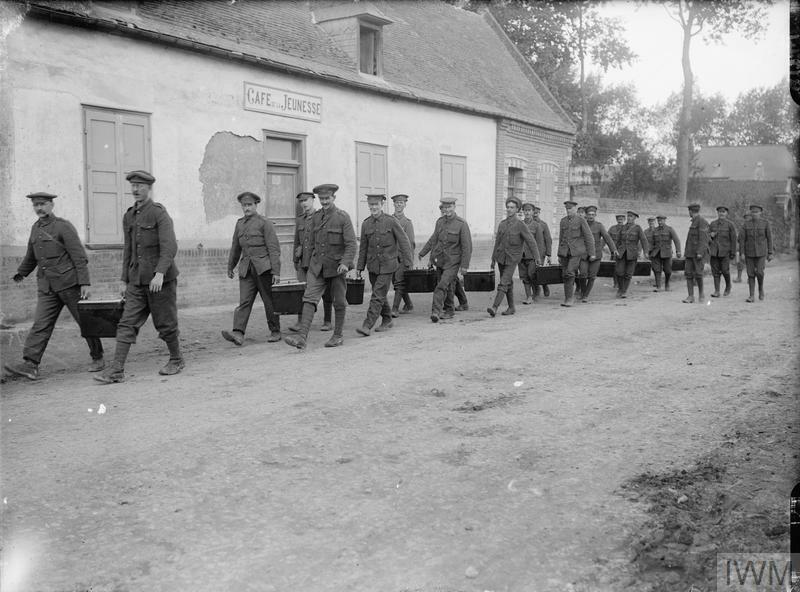 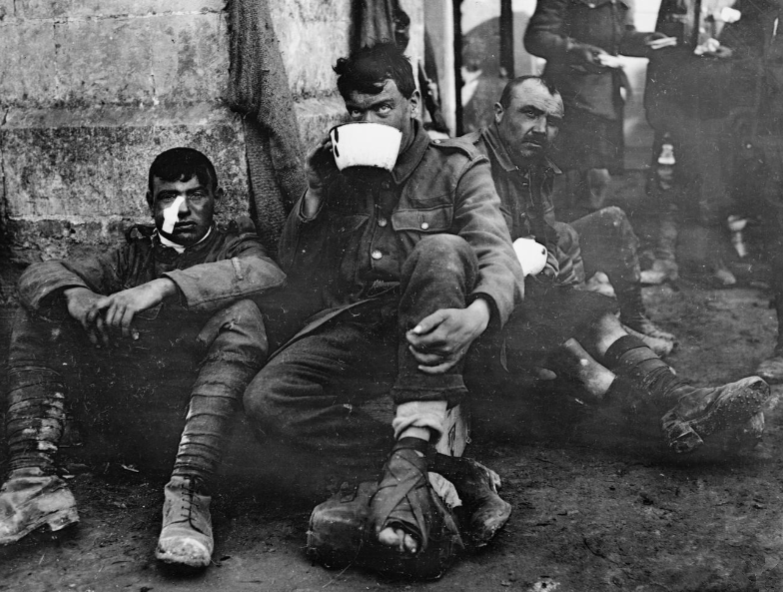 1 was made by field ambulances in June and July 1916. 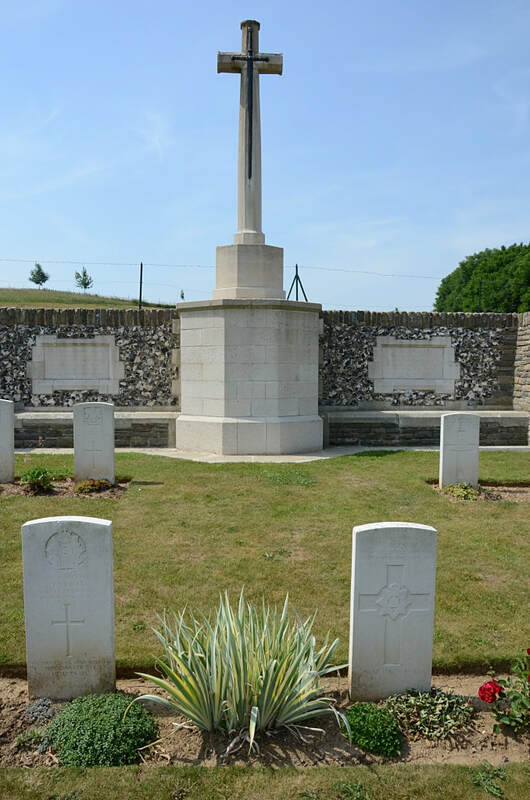 One grave of September 1915 was brought in from Morlancourt Communal Cemetery in 1926. 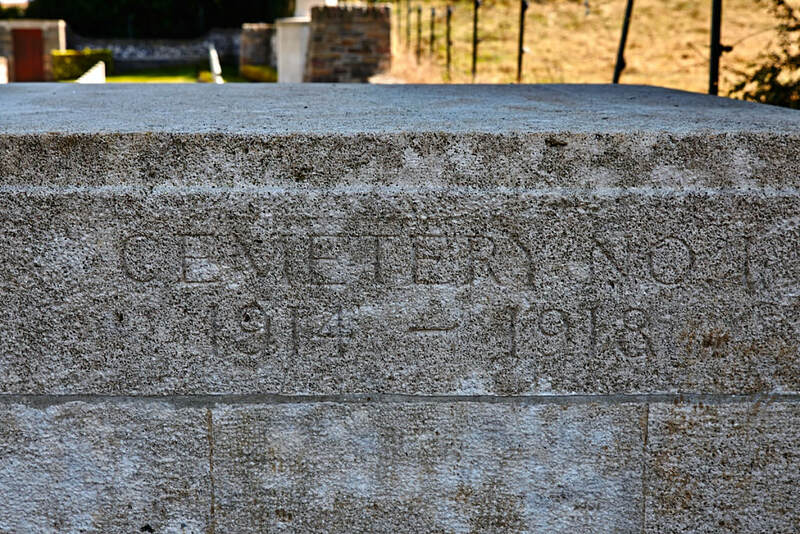 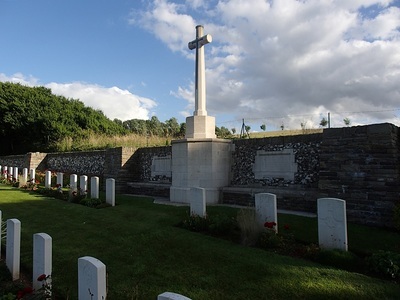 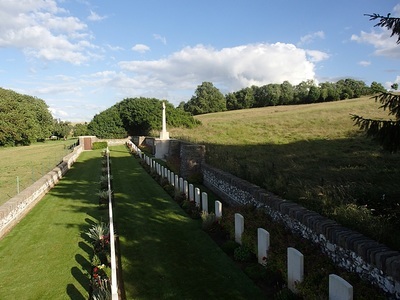 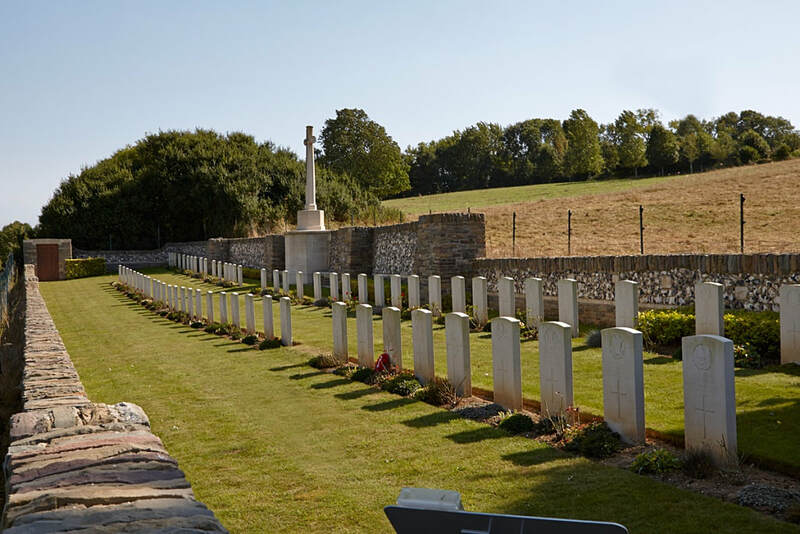 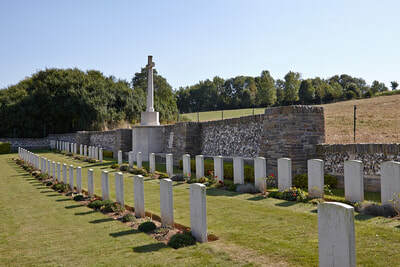 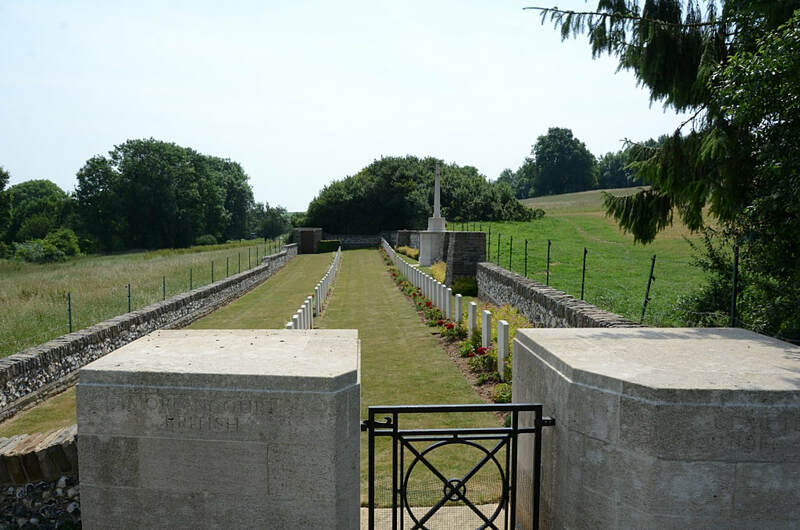 The cemetery now contains 75 First World War burials, four of them unidentified. 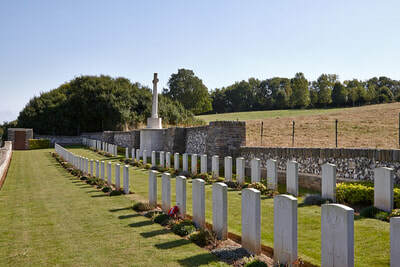 Casualty Details: UK 74, India 1, Total Burials: 75. 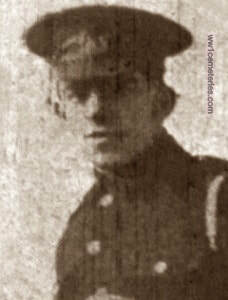 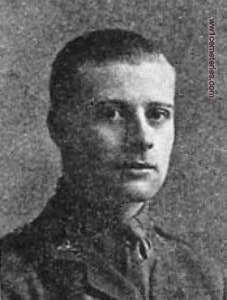 2nd July 1916, aged 21. 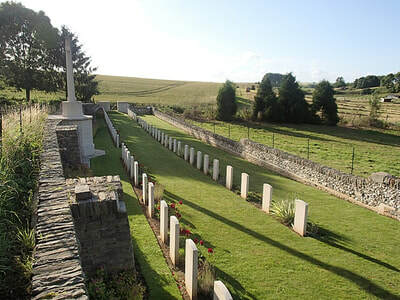 Son of Alexander Davidson, of Blythewood, Inverurie, Aberdeenshire. 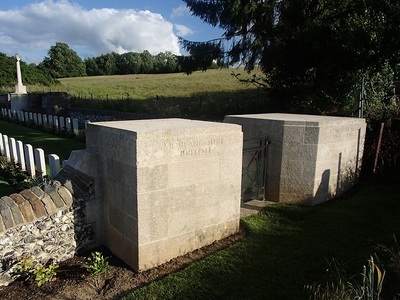 ​His headstone bears the inscription; "Of Blythewood, Inverurie, Aberdeenshire." 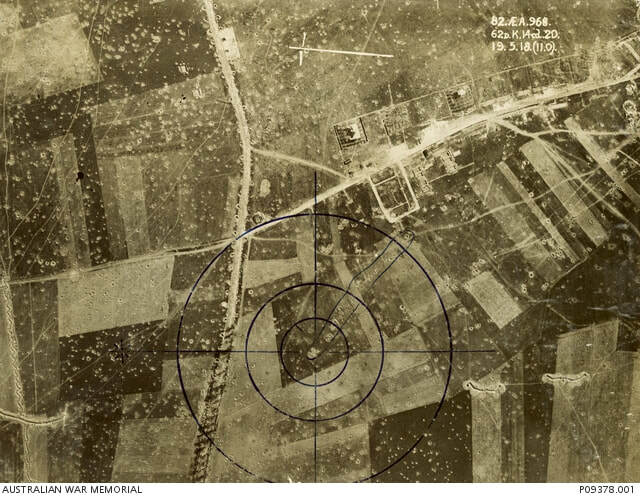 Aerial reconnaissance image of the Villers-sur-Ancre/Morlancourt area, taken to check the extent of the Australian advance following the attack on the morning of 19 May 1918. 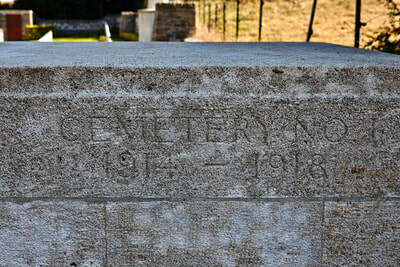 The image was taken by Lieutenants Tom Latham Baillieu (pilot) and Edward Fearnley Rowntree (observer) from an RE8 aircraft of No. 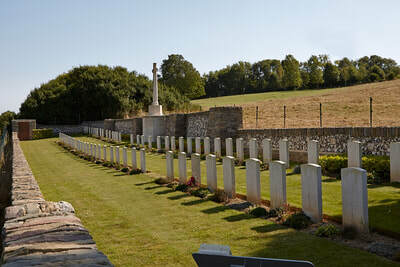 3 Squadron AFC. The image is marked with a 'clock face' to allow for the plotting of the fall of artillery shells.